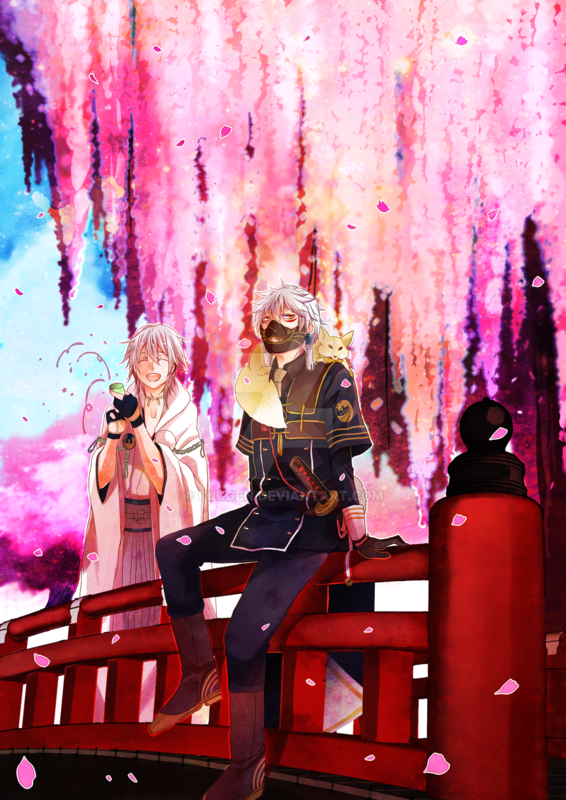 Hehe, I love how cheerful Tsurumaru looks. What a cutie! Lovely bridge and background, too.